The occurrence of antibiotic resistance is increasing in children aged between 0-18 years, a study of data from 48 children’s hospitals in the US has found. The research, published by Case Western Reserve University School of Medicine, analysed the trends from 2007 to 2015. Investigating the prevalence of a disease caused by family of bacteria called Enterobacteriaceae, researchers inferred it to have increased from 0.2 per cent in 2007 to 1.5 per cent in 2015. The study was published in the Journal of the Pediatric Infectious Diseases Society in late February. The study also revealed that almost one-quarter of the infections studied, were acquired in the hospital. Stay in hospitals increased for patients with Enterobacteriaceae infections as compared to those without it. In February this year, doctors from Apollo Hospital, Mumbai along with Johns Hopkins Bloomberg School of Public Health, US and St George’s University London, UK published a scientific review on the rates of antibiotic resistance in neonates (infants less than four weeks old) and other children in India. The study was published in the Journal of the Pediatric Infectious Diseases Society. 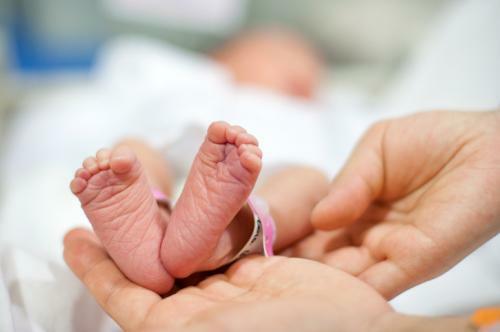 Researchers analysed data from previous studies, of which 80 per cent were on neonates. As per the data, high rates of resistance are prevalent in India against antibiotics which are termed “critically important to humans” by the World health Organization (WHO). Resistance to bacteria Staphylococcus aureus and Klebsiella pneumoniae was found to be most common. Approximately half of all S. aureus isolates were resistant to common antibiotic methicillin. The median rate of resistance of K. pneumoniae against another antibiotic called ampicillin was 95.9 per cent. Resistance in bacteria Escherichia coli against ampicillin was 92.9 per cent. The results of this study indicate the high levels of resistance against key pathogens in children, especially neonates in the country. The study also highlights the difficulty in treating infectious diseases in children due to increasing resistance. Surveillance of resistance in humans is conducted, albeit insufficiently, by the National Centre for Disease Control and Indian Council of Medical Research, both falling under the Ministry of Health and Family Welfare. All WHO member-states have to submit National Action Plans to address antimicrobial resistance by May this year. The levels of resistance, as mentioned in the study, indicate the need for stringent measures in India’s plan. One of the measures is a comprehensive surveillance of antibiotic resistance and consumption of antibiotics by humans and in food animal production.